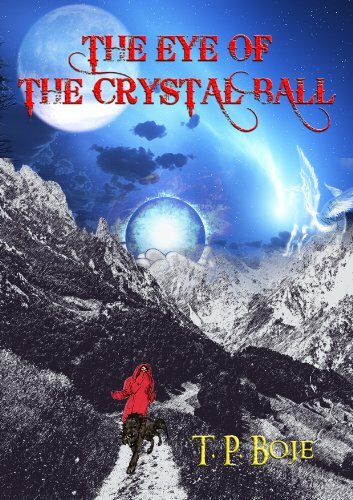 The Broke and the Bookish : Kimberly's Review of "The Eye of the Crystal Ball"
Kimberly's Review of "The Eye of the Crystal Ball"
How I got it: From the author. What to say about this book… I feel very conflicted about how I will rate this, and how I feel about it over all. Ok, we’ll get the not as nice stuff out of the way. What I didn’t care for: The writing felt choppy in places. The pacing was off at times and it felt like it was a bit of a challenge to follow it. The copy I read had numerous grammatical and spelling errors. (It was NOT the final version however. And upon talking with the author I found out that English is her second language, and that the book has since been handed over to a great editor.) I felt like some of the things that happened, just happened. There wasn’t really any build up to it, so it just felt like… Oh, this needs to happen so there. What I liked: Sara is a great character, she’s strong and when she decides to do something, she does it. It’s always refreshing to read a novel with a strong female lead. Too often they are weak, whiny and constantly depending on the men to save them. (I won’t name titles…) The idea of the Romani life sounds fascinating. I loved the descriptions of how they traveled around, what Sara learned from them, and their various skills. There were bits and pieces of other literature, especially fantasy running rampant throughout the book. If you are as much of a fan of fantasy as I am, you’ll recognize it. It’s a bit like talking to someone new and hearing them say something that you know comes from one of your favorite books. It was a treat picking out the various references. You’ll find everything from The Neverending Story to Lord of the Rings to The Chronicles of Narnia. I had to get used to the writing style. It was more of a… storytelling style. Instead of descriptions that showed me how everything looked, how people reacted, etc, I was told. It was a bit like sitting in a class with the Professor telling a story, or having Granny (My father’s mother) tell me stories when I was young. It was a bit to get used to, but once I did I found I kinda enjoyed it. Overall, it was a pretty good read. That's interesting. Based solely on the description you posted from Amazon, I wouldn't be interested in reading this book purely because the language does seem so choppy and stilted. Hopefully that all gets resolved during the editing process, but given that the description on Amazon is still so choppy, I would worry that it's not. Interesting review you made here! I can not wait to read the book!